Complementary therapies have seen a surge in popularity in recent years as people are becoming more aware of their health and what affects it. Some of the most popular remedies and their effects of health however, have been known for many years, particularly in Eastern countries. Evening primrose oil is one such product that is now being used by the public for its benefits to health. Evening primrose oil is a type of oil that is derived from the seeds of the evening primrose, so called because it flowers in the latter part of the day. The oil is then usually purified and placed inside a capsule which can then be swallowed with relative ease. The oil contained in the seed has been found to be an essential fatty acid that is needed for the growth and development of the body. The only way to receive this type of oil is through dietary sources which is why manufacturers now make capsule that contain high amounts of this oil as this is the easiest way of getting the oil into the system. It is also added to many lotions and skin preparations but the benefits of this seem to be negligible as only a tiny amount of the actual oil can be absorbed into the system. How Might Evening Primrose Oil Benefit Health? Evening primrose oil has been thought to help ease many symptoms familiar to women such as pre-menstrual problems, those associated with the Menopause and also may help ease arthritic pain and eczema. Most women at some point will have experienced either lower abdominal pain, breast pain or sensitivity and a general lethargy during their cycle. Evening primrose oil has in the past been recommended to help with these symptoms allowing women avoidance from other more conventional medications. Evening primrose oil is a natural product and contains no chemicals other than those contained in the capsule itself. Although many doctors do suggest that women try evening primrose oil top help ease the symptoms associated with pre-menstrual syndrome, there is little scientific evidence to support these claims. Initial tests have revealed that there is little or no benefit when given for these complaints. However, scientist are hopeful that further and more extensive testing will help to reveal more conclusive evidence either way.Doctors may continue to advise women to try these products as the psychological benefits may actually help ease the symptoms. Although scientific evidence does not show a great deal of benefit from using evening primrose oil on the body, it may help from a psychological aspect and as it hasn’t proved to be harmful, there is no reason why women cannot continue taking the product. It is however very important to tell your GP or healthcare provider of any medications that you are taking, and this includes the use of complimentary therapies as some do interfere, often dangerously with existing medications. Evening primrose oil is a natural product that many women use to help relieve the symptoms of pre-menstrual syndrome and those associated with the menopause. Evidence in the future may show results proving why it is good to continue these practices. As with any supplement you take, you must check to see if Evening Primrose Oil will effect or react with any other supplements or medication you are taking. For a better understanding of what actually happens to your body during your menstrual cycle, and how you can alleviate some of the symptoms take a look at our article The Menstrual Cycle Explained. I have found , on and off , over years , a def improvement in both mood and , digestive probs , . I would def give it a go , I take 1000mg daily . @Binnie. The above article explains. You can buy primrose oil from all health shops, pharmacies and some supermarkets. I have been married for over ten years now without children my wife thinks using evening prime rose could aid ovulation/conception. Any proof? 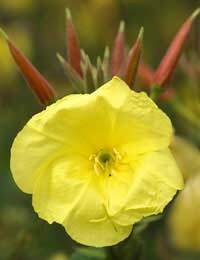 can man take evening primrose? what's the benefit for man? hi can evening primrose oil 1300mg, help with weightloss and help with conceiving. I started to use Primrose oil every day because of heart palpatation and Diabetes. After using 1000mg of Primrose oil and exercising an hour 5 days a week, all symptons have more or less dissapeared. It took 14 days when my helth started to improve and I was not on any medication. CAN EVENING PRIMROSE HELP YOU GET PREGNANT EVEN THOUGH YOU ARE PRE MENOPAUSE?